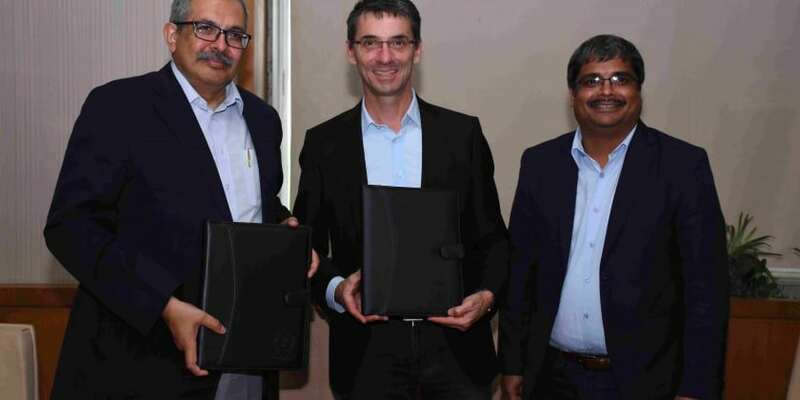 German multinational software company SAP SE (SAP) has launched a Startup Accelerator Program in partnership with the Society for Innovation and Entrepreneurship (SINE), a technology and business incubator at the IIT-Bombay (IITB) campus. In addition, SAP inaugurated an SAP Innovation Centre, housed within IITB campus. These announcements enhance SAP’s existing initiative with IITB to support startups and train teachers, announced earlier this year. The SAP-IITB Startup Accelerator Program is a cohort based, boot camp led accelerator program to mentor and accelerate the business growth of ten social enterprises or startups over the next year. SINE will administer a business incubator that will provide support for technology-based entrepreneurship and help young minds in their first fledging steps to market. The common goal is to nurture investible startups and make them profitable. The SAP Innovation Centre will host research projects in association with the computer science department of IITB; in addition, it will provide an opportunity for students to participate in SAP Mile, a university crowdsourcing platform which allows students to participate in virtual internships to learn and experiment on SAP product ideas and solutions. The SAP Innovation Centre also will enable students from IITB to work on next generation and cutting-edge technologies. “IIT Bombay is committed to academic and scientific excellence. We are delighted that SAP is partnering with us through the Innovation Centre and Startup Accelerator program. These programs will also help our students to gain valuable real-life experience in partnership with SAP”, said Professor Devang Khakhar, Director of IIT Bombay. SAP works with incubators at leading Indian universities to strengthen the regional entrepreneurship ecosystem through accelerator programs and provides mentorship and capacity building to social enterprises and start-ups. SAP also propels youth entrepreneurship, fosters Entrepreneurs in-residence and has established the SAP Endowed Chair on ‘Social Entrepreneurship and Innovation’ at the Indian Institute of Management, Ahmedabad. SAP joins hands with IIT- Bombay 0 out of 5 based on 0 ratings. 0 user reviews.